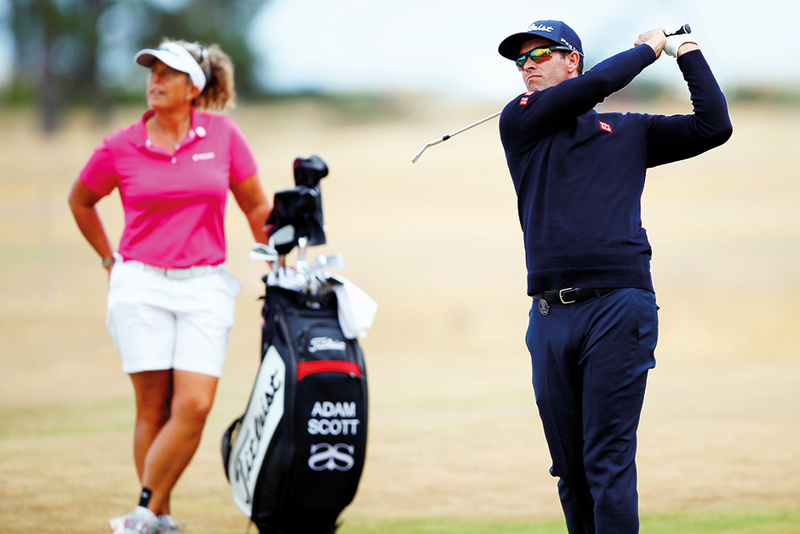 Carnoustie, Scotland: Adam Scott has made a deal with himself to be a bit tougher if he gets another chance to win the British Open and hopes caddie Fanny Sunesson can help him across the finish line at Carnoustie this week. “I think I can put all my experience to good use if I’m in that situation again and (also) lean on Fanny,” the former world No. 1 said on the eve of the championship on Wednesday. “She’s a great caddie and, hopefully, we can lean on that experience over the weekend, get ourselves in a position where we both want to be and can both thrive under the pressure,” said the Australian. “I made a deal with myself if I’m in with a chance… be a bit tougher on myself, grind that little bit harder,” he said.